The Brewers “Arctic tailgate” kicks off the single-season ticket sales for 2012 home games. 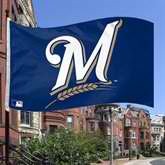 Those sales began at 9 AM Central time online @Brewers.com, and the Miller Park box office, and by telephone, 414 – 902 – 4000. If you are not at the ballpark, your best bet is by telephone. The tailgaters camped out in the parking lot last night, and there were long lines this morning. The Ryan Braun Saga lasted what seemed like an eternity, and kept the Brewers fans tuned in to the news. Braun addressed his teammates at Maryvale Park, shortly after his arrival, and held a press conference for the media. Braun the NL MVP insisted all along he was innocent and believed a possible 50 game suspension would be overturned and that he would be in the lineup on opening day for the Milwaukee Brewers. Braun thanked the Brewers organization, principal owner Mark Attanasio, and his teammates for never doubting him. Ryan said, “When you go through a situation like this where everything you worked for has been called into question, you truly see who your friends are. Brewer’s manager Ron Roenicke was happy to see Ryan Braun, and that he wanted to talk to the team, so he and the coaches left the clubhouse, so Ryan could address his teammates in private. Ron Roenicke said, “We are a lot better team now’’ that’s all it comes down to. The story is not over, but the Brewers players have work to do in defending their Central division championship. The pieces are in place for the Brewers to make another run for the ultimate goal, the World Series. Brewer’s fans have supported their team, through the good times and the bad, and have always been some of the best fans in Baseball. 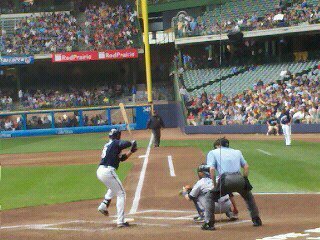 Go Brewers 2012!